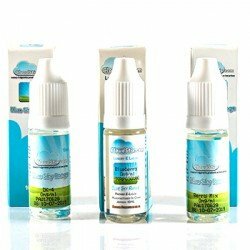 High PG E Liquid is still very much relevant and very popular here in the UK where the majority of users are still mouth to lung (standard vapers). These users are looking for a good throat kick, a nicotine dose that settles any cravings and of course good flavours that are authentic and not chemically or cheaply made. Sadly poor PG Liquid is widely sold in the UK, mainly in garages, convenient stores etc. Vendors seem to think of the standard vapers as an after thought and supply cheap e-liquid which then becomes known as "Emergency" or "Last resort" Juice when your vape shop is closed or you run out waiting for your online order. The ranges that we have sourced as official partners to wholesale to our vendors have been widely recognised as some of the best higher PG mix E Liquids that have stood the test of time. To this day many users of this e-liquid will not use anything else even though they have tried other brands for similar or even cheaper prices. When we researched why these users prefered these brands the answer is simple, quality. These e-Liquids are true to the flavour description, they provide a solid throat hit that is enjoyable and not harsh and the nicotine used satisfies cravings with no side effects such as chemical taste or burning atomisers in days due to bad ingredients. Higher PG E-Liquids will be slightly thinner due to less VG in the bottle which is what thickens it up. The upside of this is that the additional PG gives you a great throat kick which is great, especially for users coming from cigarettes to vaping for the first time. Click the icons below to get more information on the ranges which have different mix ratios of higher PG and select what is right for you and your customers.